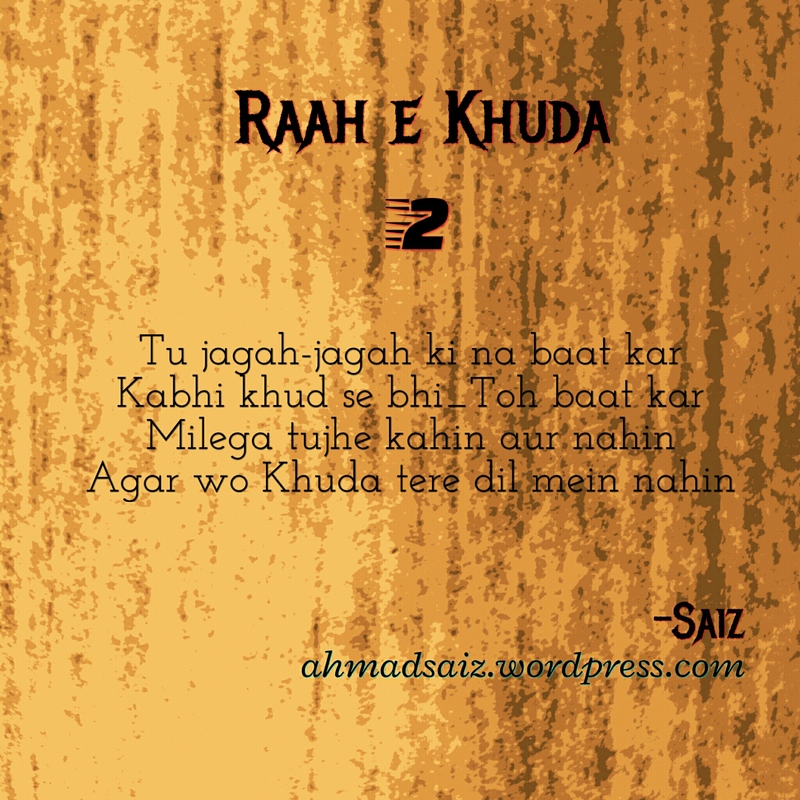 Raah e Khuda: #2. ~Tu jagah-jagah ki…~ – I'm Here; Right Here. Well! The most difficult job is to be better than how you were yesterday. And this is what I love to do. But, seriously its really very tedious. I wanted to acknowledge one more thing that I have a different style of writing Urdu poetry. This is exactly what I had been working upon the most into my works. PS- The way you read an Urdu poetry is what creates the difference. Thank you so much. Your words of appreciation really instigate me to give the best I could. Why would there be are other things to believe when I have told you the fact ? The Urdu section itself was so easy that there wasn’t a need of an English part of it. This one was one of my favorite. I’m really happy that you appreciated it. This is my favourite of all. So beautiful and like you said, simple words, deeper meanings. In such a few words, you touched the heart with raw emotions. Wonderful. Thanks a ton Ma’am. I love this one a lot too.